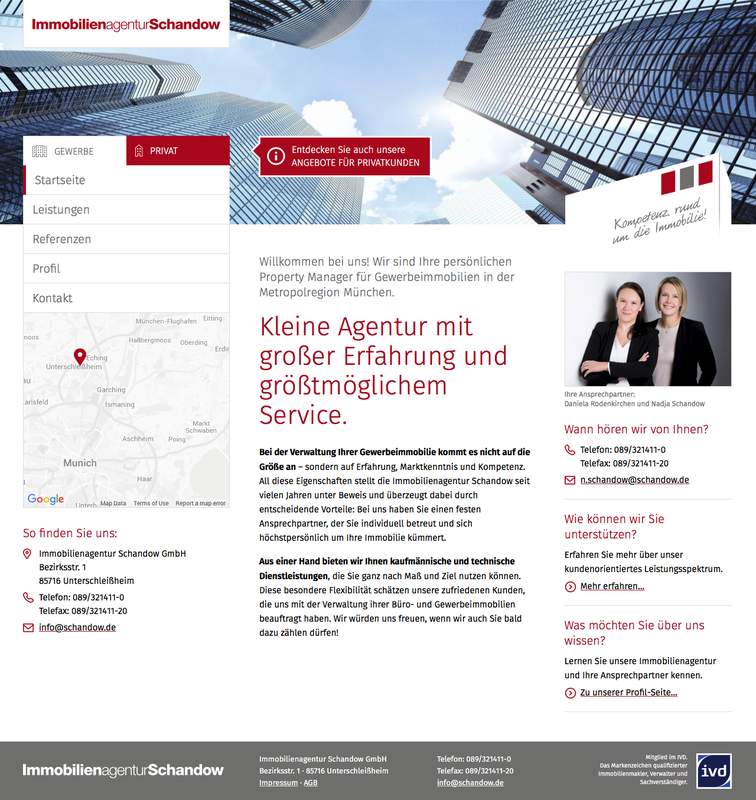 Immobilienagentur Schandow GmbH is a small company based in Munich, Germany. Their business model is Property Management for commercial and private customers. Therefore, the website is splitted in two parts: commercial and private. Each section has it’s own navigation and design language. The website is fully responsive, runs the latest ProcessWire version and all good modules we needed. A real challenge were the exposés for the property offers in the private part. The template has built-in field dependencies and everything is editable and maintained by the employees of Schandow.